My name is Raunak Lama. I have 3 three siblings. It happened one night when I was camping with my family in 2013 on the 4th of April. Then a celebration came from grandmother saying my cousin is born. It was the happiest day of my life and the saddest too. That night when we were sleeping I heard a voice calling me. I would turn 14 the next day. Well we planned to stay one more night. We celebrated my birthday the next night. In the night I saw a beast moving so I went out with my siblings with a torch. It was a huge wolf and I thought I would be okay cause I am very good with big dogs. Then it happened. I got bit by it. My parents came and shot it then it ran away. We went back home then to the hospital. The doctors asked what happened then they saw bleeding from my neck. When they checked it out it had healed. Then the full moon came. My bones were crunching and my muscles were rearranging and I was in pain. Then I don't remember what happened. The next day my clothes were all ragged. One of my siblings died. We were all very sad at what happened that night. Then I remembered that I was ragged and I thought I was the beast. Whoever is reading please know that this is true. I am cursed deeply through my veins with this killing blood I received from the alpha werewolf. 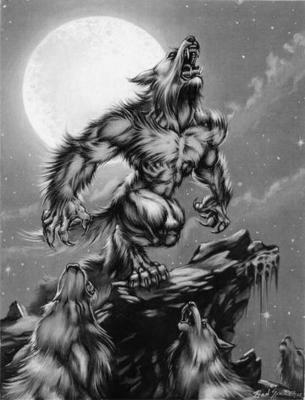 Now I know I am a beta werewolf the lowest level. I have been doing a little research about it. The more I transform and kill the higher level I become. Now once and for all I must free myself from the curse. All my fellow friends with paranormal activities please do believe me. I don't know when is the full moon will arise. I need someone to shoot me with a silver bullet.